It is impossible to describe the amount of time and effort that went into the publication of this year's Voters' Guide. 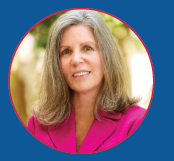 Work began months ago with Cassondra Corbin-Thaddies organizing groups to create questions, coordinate with LWV Fl. who were in charge of all state races (governor, cabinet, state senate and house candidates) and LWV US who handled the national races (US Senate and House), formulate questions, contact local candidates, coordinate distribution, layout, proofread, and much much more. Initially 113,000 copies were printed, followed by a second printing of 5,500. It has also been distributed in PDF form to local officials for distribution to their constituents. It has also been included in the Palm Beach Post and Sun Sentinel . Joyce Sullivan & Elayne Goodman who coordinated production and distribution. They worked closely, contacting each person that distributed in 2016 and confirmed each location, as well as scouted new locations. Within one week, they designated and delivered 35,000 copies of the Guide. Maria Velez created the art (cover) and laid out the entire 28 pages. Maria reworked each page. Phyllis Goldenberg edited every word written. There were only two errors which Phyllis found by reading the guide. There were over 800 emails between Phyllis and Maria. Becky Haltermon Robinson, our Vote411 guru, downloaded all of the candidate information and put it in a Word format. Corinne Miller and Marion Lang reviewed and checked all content. They worked tirelessly on the information which included retyping all of the information from 2016. Christene Campbell-Gabor coordinated the distribution lists and volunteered to coordinate all of the libraries. She organized the copies for distribution and with the help of Ken Horkavy and others, separated all of the copies by location. Nearly 120 people volunteered to distribute. Pam Maldonado coordinated all 23 high schools, and each received copies. Beryl Blecher coordinated contact with local candidates and followed up to secure candidate participation. Due to her team's efforts, there was nearly 100% participation by local candidates. 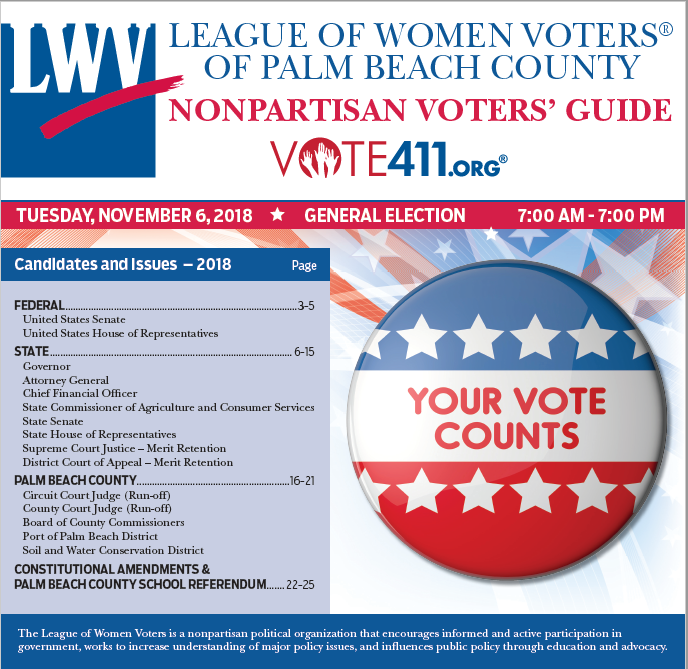 This publication is an example of the excellent work done by the League of Women Voters of Palm Beach County. Our volunteers work tirelessly to promote political responsibility through informed and active participation in government. Tell your friends Remember to Vote! 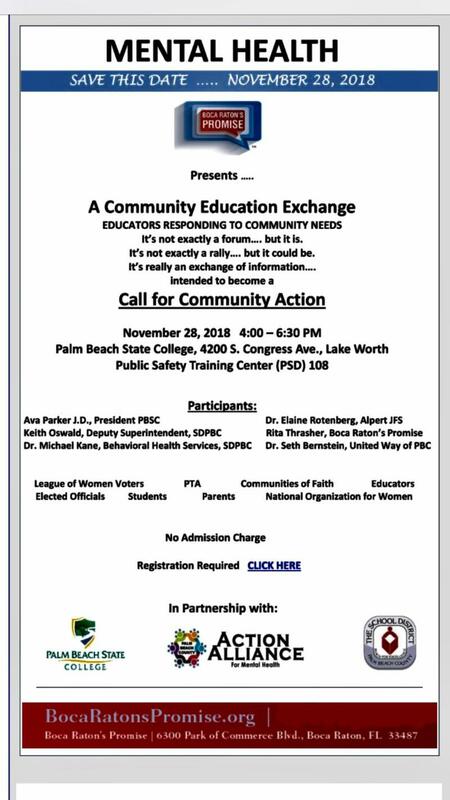 Our League member, Mary Jane Range , along with Susan Bucher, Palm Beach County Supervisor of Elections, and Lillian Tomayo of Planned Parenthood are panelists. Mary Jane is putting together League tables (one is full) for those who wish to attend. 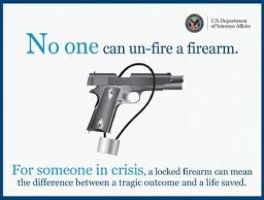 Please contact Mary Jane by email at mjrange@comcast.net for additional information. 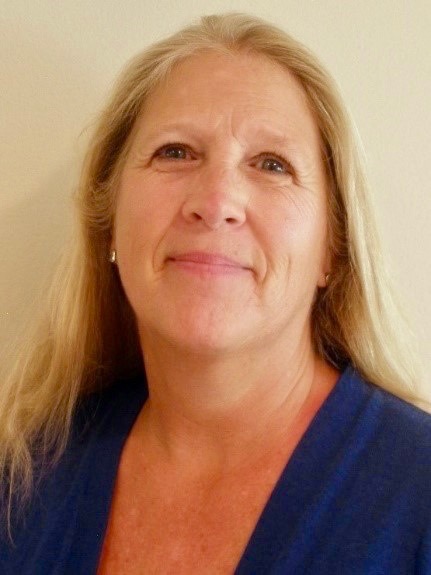 Here in Palm Beach County, our key person, Diane Marks , is in the process of forming another cooperative. The great thing about a co-op is that you don’t have to go-it-alone. Instead the members of the co-op review vendor proposals and negotiate prices, warranties, etc. This way you have group pricing and leverage in making sure installations and warranties are consumer friendly and affordable. 3) Good for the consumer. Information meetings are being scheduled around the County. Interested people can learn about the Solar Co-op, the benefits of solar energy, financing an installation and ask questions. The next meeting is November 17, 2018 at 10:30 am at West Boca Branch Library, 18685 SR 7, Boca Raton. 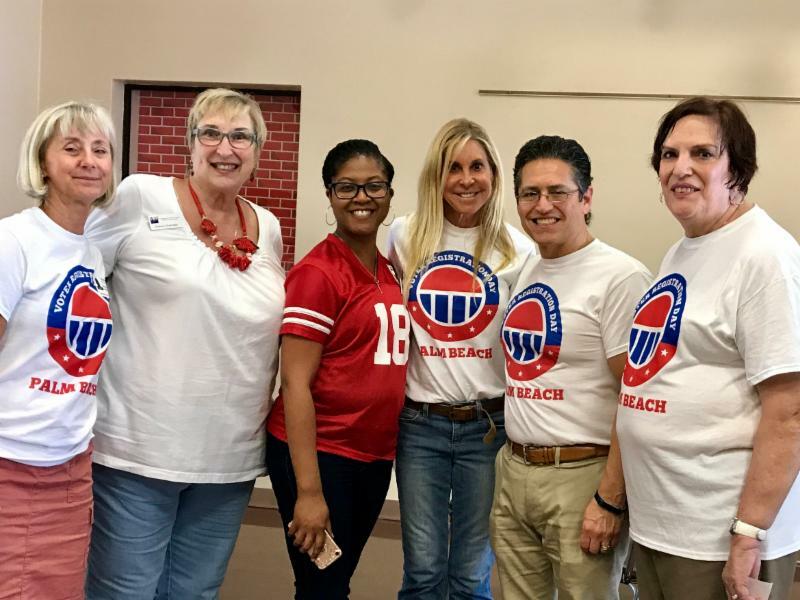 The League of Women Voters Palm Beach is partnered with the Sierra Club, Audubon, Southern Alliance for Clean Energy, Citizens’ Climate Lobby, UUFBR and the cities of West Palm Beach, Boynton Beach, Delray Beach and Boca Raton. Mayor Jeri Muoio of West Palm Beach is our Honorary Chair. The co-op participants will select a single company to complete all of the installations. This meeting will be held in November. 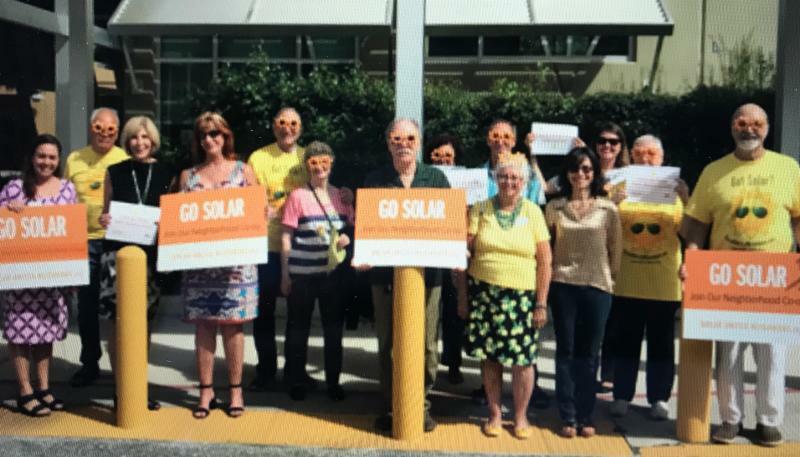 For more information or to join the co-op, go to solarunitedneighbors.org/palmbeach or click the button below. Above l to r: Ginny Powell, Debra Chandler, Keisha Johnson, Kim Tendrich, Greg Tendrich, & Ronnie Gerstein at Santa Lucius High School. 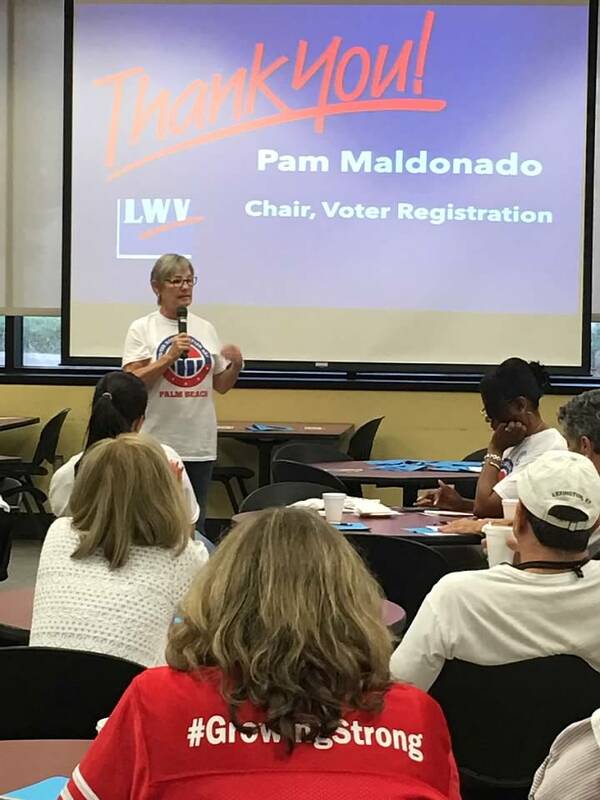 The League of Women Voters of Palm Beach County and the Palm Beach County School Board teamed up to register and pre-register 1,940 high school students on September 25, 2018. More than 250 volunteers, coordinated by our Voter Services Chair, Pam Maldonado, went to 23 high schools over the lunch periods in this effort. 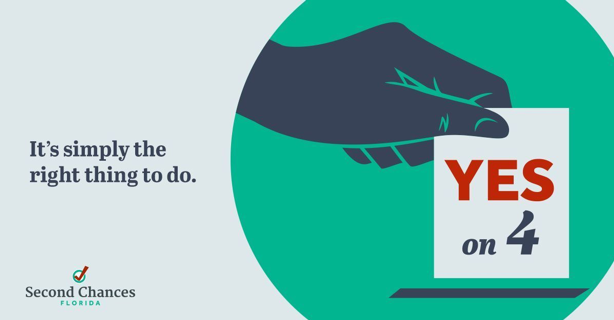 Students who will be 18 on Election Day can vote in November. "Our aim was to motivate young people to take the first step toward participating in the democratic process by registering to vote," said Maldonado. 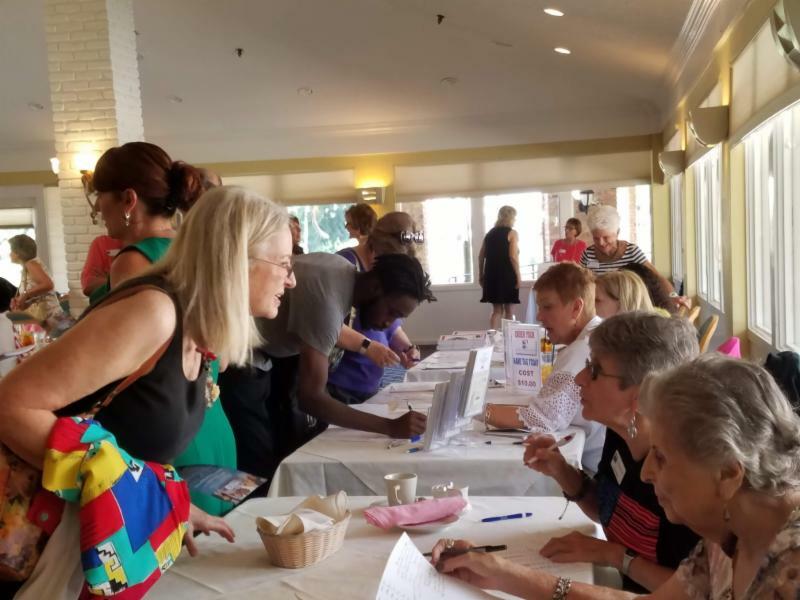 On September 21 st , several members of the League of Women Voters registered and educated voters at the Islamic Center in Boca Raton. Marsha Vinson presented "What’s On the Florida Ballot" after Dhuhr, mid-day prayer service. More than 200 men attended the prayer. LWV members covered their heads, removed their shoes, and dressed in respect of Islamic tradition. Male and female representatives of the Islamic Center were very gracious and welcoming. Several copies of the Voter’s Guides were distributed. It was a very successful visit, and contributed to the League's community outreach. 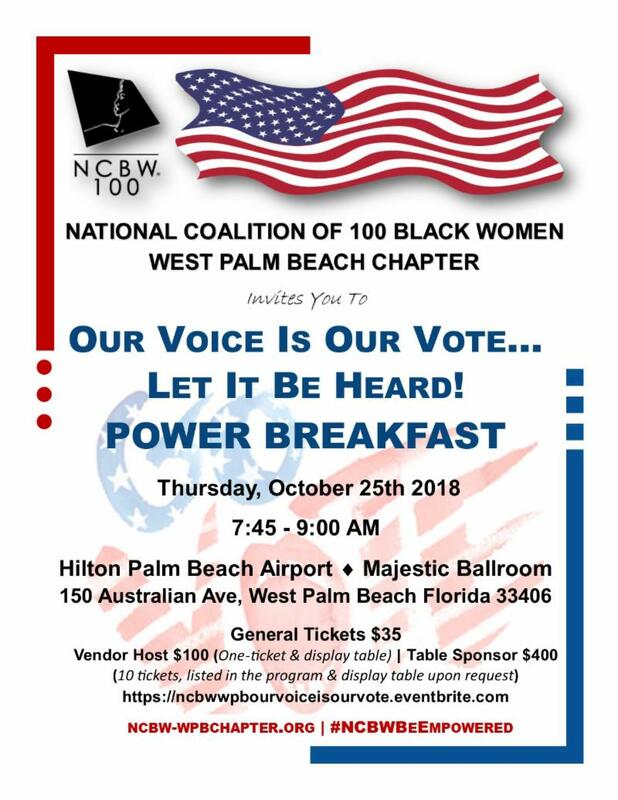 Emma Artero ,West Palm Beach; Stephanie Artero , West Palm Beach; Jihan Bazile , Boca Raton; Mary Kate Boyle , Juno Beach; Julia Bryant , Loxahatchee; Rena Burgess , Riviera Beach; Janet Chaikin , Delray Beach; Judy Cloutier , Boynton Beach; Karyn Colombo , West Palm Beach; Frances Cummings , Jupiter; Ellyn Dembrow , West Palm Beach; Alisa Desmond , Boca Raton; Sharon & Lorin Duckman , Boynton Beach; Norma Engle-Lewis , Delray Beach; Leslie Jay-Gould , Wellington; Nancy Feinberg , Boca Raton; Carol Giles , West Palm Beach, Edgardo Hernandez , West Palm Beach, Leslie Jay-Gould , Wellington; Michele Kabat , Boca Raton; Micki Kahn , Palm Beach Gardens; Deborah Kinback , Juno Beach; Rebecca Klasfeld , Boca Raton; Faye Kravitz , Boynton Beach; Donna LaFlamme , Palm Beach Gardens; Carol Lanning , Jupiter; Laurenis Lopez , Palm Beach Gardens; Judy Mayer , Wellington; Susan Merritt , West Palm Beach; Catherine Lowes-Nelson , Boca Raton; Kenneth and Susan Peltzie , Delray Beach; Ginny Rimback , Greenacres; Cynthia Sanders , Boca Raton; Sharyn Schneiderman , Boca Raton; James Schroeder , Delray Beach; Melissa Selikoff , Boca Raton; Brittany Sharrar , West Palm Beach; David Silvers , West Palm Beach; Carol Smith , Singer Island; Paige Solomon , Boynton Beach; Jasmine Speak , Tequesta; Frances Sullivan , Lake Worth; Leslie Swensen , Jupiter Inlet Colony; Monica Victoria , Boca Raton; Mary Wallace , Palm Beach; Suzy Wilkoff , West Palm Beach. On September 29, 75 new members and other interested people attended Orientation at Palm Beach State College. It was the largest group ever. Darlene Kostrub, Membership Chair, designed the fast-moving morning orientation program which included presentations by the Issue Chairs and President Karen Wilkerson. The program also featured narratives on League history, state and national League legislative priorities, financial structure of the League, and League communications. After the formal presentations, attendees had the opportunity to meet with Issue Chairs and other attendees with similar issue interests. It was a most educational and enthusiastic event. Thanks to all who attended and who made it possible. The next Orientation will be held on Saturday, February 9, 2019 at Palm Beach State College. Registration will be at 9 a.m. The program will start at 9:30 a.m. and end at 12:30 p.m.
Mark Schneider, Palm Beach County's ACLU President and LWVPBC Speaker’s Bureau member, and Marcia Herman, Speaker’s Bureau Chair offered a fascinating look at the complicated ballot awaiting Florida voters in November. One hundred eighteen members and guests attended the luncheon at Atlantis Country Club. 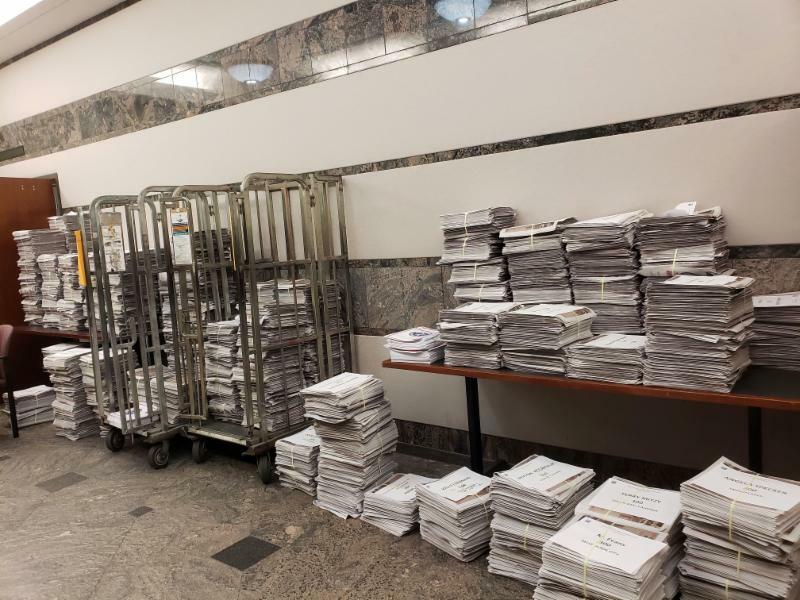 Marcia reported that more than 4700 Palm Beach County voters are expected to attend more than 100 presentations in October of What’s on the November Ballot. More than 1750 voters have attended 33 Speaker’s Bureau presentations this past September. Mark suggested assessing each proposed amendment by considering he organizations that support or oppose the ballot measure. 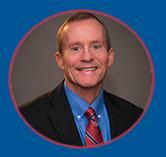 Mark urged all League members to review the proposed Florida Constitutional amendments outlined in the Palm Beach County League of Women Voters Voter’s Guide . 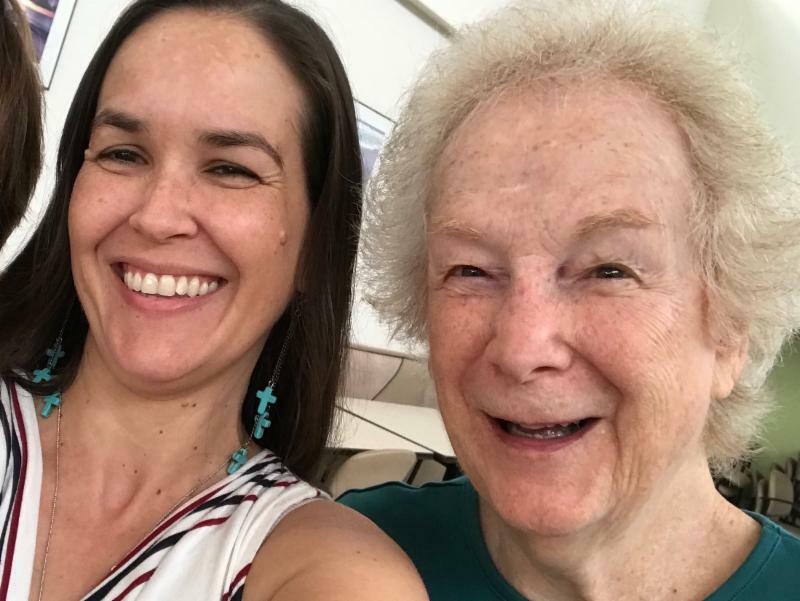 Outgoing Chair, Ethelene Jones, provided Marcia with well-organized files documenting communication, contact information and dates for future presentations by the committee members. Until election day, November 6, 2018, the committee members will present the 2018 November Ballot Proposals presentation to over 100 Palm Beach County groups and organizations. An organizational and training meeting was held on Saturday, August 25, 2018 for speakers to become familiar with topics, presentations, and equipment. Marcia is grateful to everyone who helped at the event and made it successful. 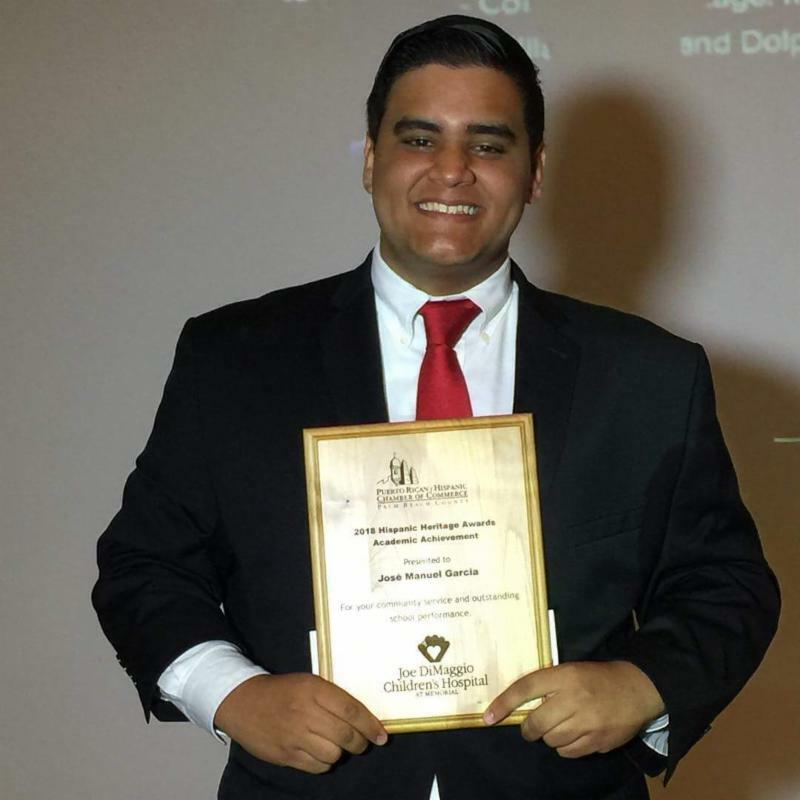 Jose Garcia , a League of Women Voters intern and senior at John I. Leonard High School in Greenacres, was honored with the Hispanic Heritage Award by the Puerto Rican – Hispanic Chamber of Commerce for outstanding community service and academics. This was no surprise to those of us who know him. Great things can be expected from Jose in the future!